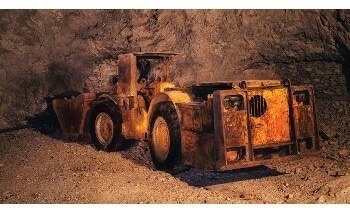 Generating actionable, on-site results is crucial for the success of applications. From verifying polymer identity and authenticity, to performance testing of coatings, improving composite bonding, and measuring metal surface contamination. This is achievable with the versatile and ergonomic 4300 Handheld FTIR from Agilent Technologies. The Agilent 4300 Handheld FTIR (Figure 1) is suitable to perform at-site, mid-IR measurement of objects composed of high-value materials. With an optimized design, the handheld FTIR spectrometer enables rapid scanning of large surface areas, and skillfully validates factors such as wear, authenticity, quality and identity. Moreover, objects can be directly analyzed without removing a sample. The 4300 Handheld FTIR allows taking measurements wherever they are required, irrespective of the location or physical size of the object (Figure 2). It yields results immediately and in real time, making insightful decisions about factors such as surface contamination and quality control becomes easier. It enables Positive Material Identification, thanks to its ability to non-destructively determine, validate, categorize, and authenticate counterfeits in a myriad of materials. Figure 2. The Agilent 4300 Handheld FTIR spectrometer eliminates the need to take samples to the instrument, so you can non-destructively measure objects of any size or form factor. The 4300 Handheld FTIR facilitates performing in-service measurements to assess materials during their lifetime, and determine the impact of use and environment on wear characteristics. 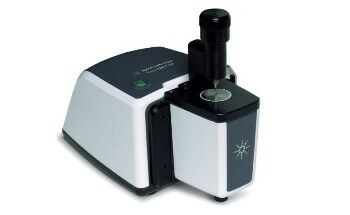 Additionally, the spectrometer optimizes productivity by facilitating rapid scanning of large surface areas and locating the key measurement points. 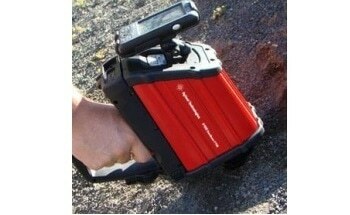 With a weight of less than 2.2Kg, the 4300 Handheld FTIR is suitable to perform mobile measurements. With an ultra-short, internal optical path and optimized electronics, the spectrometer provides unprecedented results for the most demanding applications. It allows anyone to obtain reliable results, thanks to its bespoke, easy-switch sample interfaces, intuitive software and zero-alignment optics. Superior performance – A proven interferometer design, low-noise electronics, optically matched sample interfaces, and ultra-short internal optical path provide better spectral data. Ideal detector – DGTS detector provides broad spectral coverage for routine analysis, and the thermoelectrically cooled MCT detector is ideally suited for applications demanding high speed and performance, and for obtaining several spectra over large surface areas. Real-time measurements – Agilent MicroLab Mobile Measurement software is designed and optimized for the Agilent portable and handheld spectrometers. Its real-time spectral display supports the rapid scanning capability of the 4300 MCT system. Rapid scanning – The Agilent 4300 Handheld FTIR integrated with MCT detector provides rapid and convenient mapping of the surface of materials. Prolonged operation – The Agilent 4300 Handheld FTIR is powered by lithium ion batteries, which can be changed easily even when the system is running. Flexibility – Interchangeable, snap-on interfaces eliminate the need for alignment and are custom designed to complement electronics and optics. These interfaces are equipped with RFID to ascertain their correct matching to the specific method needed for an analysis. Efficient control – An integrated touch screen runs all system and data acquisition functions and can be tilted for easy viewing in ambient light. Fast execution –Methods and commands can be executed rapidly with the click of a button. Agilent Microlab Mobile Software – It is a perfect match for the 4300 Handheld FTIR. The combination of robust analytical capability and an intuitive user interface enables users of all levels to acquire highly reliable data with minimal training. Determine and qualify films and coatings for key applications in the exploration and handling of oil and gas.